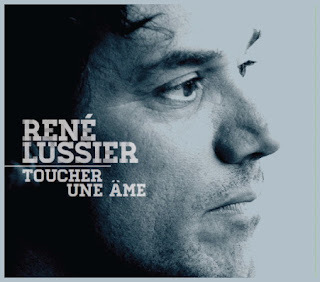 Gli esordi discografici del flautista/sassofonista di Montréal Jean Derome sono documentati in due album incisi alla fine degli anni settanta con il gruppo Nébu, il primo dei quali con l'apporto tra gli altri di René Lussier: li recupera dai vinili originali Inconstant Sol. Jean Derome formed Nébu in 1973 with the pianist Pierre St-Jacques and completed by the bassist Claude Simard; the trio played classically-informed contemporary jazz and toured extensively in Quebec, performed at the Festival de musique ouverte de Châteauvallon in France in 1977, and appeared at the inaugural FIJM in 1980 before disbanding in 1981. Its second LP drew notice for Derome's 1000 hand-drawn jackets, in retrospect an early sign of the industriousness, the resolve to be original, and the disdain for commercial convention that have characterized his career. 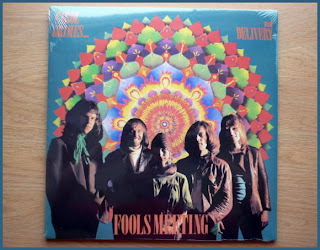 Tra le più recenti riproduzioni in vinile a cura dell'etichetta Tapestry Records c'è anche l'album Fools Meeting del gruppo Delivery, inciso nel 1970 da Carol Grimes, Phil Miller, Steve Miller, Roy Babbington e Pip Pyle - di cui proprio oggi ricorre il settimo anniversario della scomparsa - in quell'occasione aiutati da Lol Coxhill e Roddy Skeaping. Imperdibile rimane comunque la riedizione in cd compiuta nel 1999 dalla Cuneiform, con l'aggiunta di numerose rarità d'archivio, varie immagini inedite e una bella presentazione di Mike King. 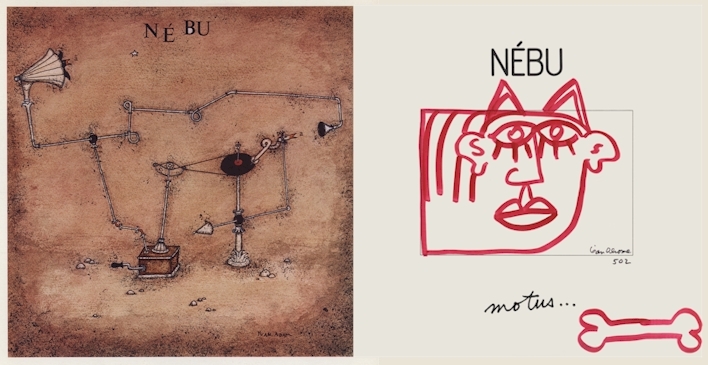 Qu’on se le tienne pour dit: au festival Météo, il ne s’agit ni de jazz, ni de rock, ni d’électronique, ni de contemporain, ni d’expérimental, ni d’improvisation... ou plus exactement : il s’agit de tout ça à la fois, et plus encore de l’immense sincérité des musiciens, et de la beauté implacable de la musique. Parmi la centaine de musiciens invités, on retrouvera bien sûr de vieilles branches familières, mais nous découvrirons surtout nombre de fleurs voraces et imprévisibles, une multitude de bourgeons en pleine éclosion, et quelques plantes rares qui ne poussent qu’à haute altitude. Cette 30ème édition du festival mulhousien tentera humblement de faire s’évaporer les frontières, d’oser l’instant, de lever quelques malentendus, de mettre en lumière la créativité des musiciens de notre époque, de créer une brèche dans l’uniformisation culturelle. Une éclaircie. Un cri de liberté. 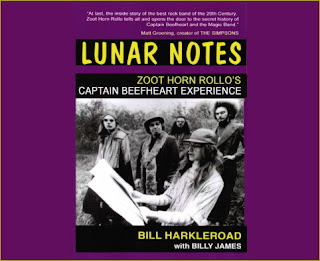 Assente dagli scaffali da oltre dieci anni, torna in circolazione il libro autobiografico scritto da Bill Harkleroad - il 'mitico' Zoot Horn Rollo - sulle sue esperienze come chitarrista nella Magic Band di Captain Beefheart: Lunar Notes, uscito nel 1999 per SAF Publishing, ora per Gonzo Multimedia. Much to the excitement of Captain Beefheart and the Magic Band fans around the world, the critically acclaimed biography Lunar Notes, by original Magic Band guitarist Zoot Horn Rollo (Bill Harkleroad) is now available again after being out of print for over a decade. 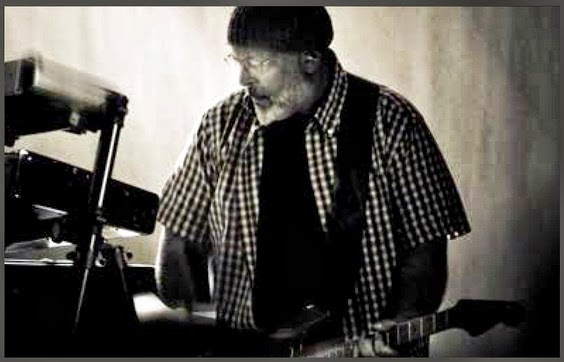 Bill Harkleroad joined Captain Beefheart's Magic Band at a time when they were changing from a straight ahead blues band into something completely different. 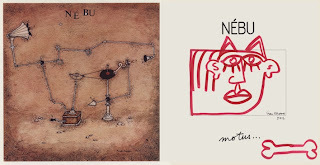 Through the vision of Don Van Vliet (Captain Beefheart) they created a new form of music, which many at the time considered atonal and difficult, yet over the years has continued to exert a powerful influence! 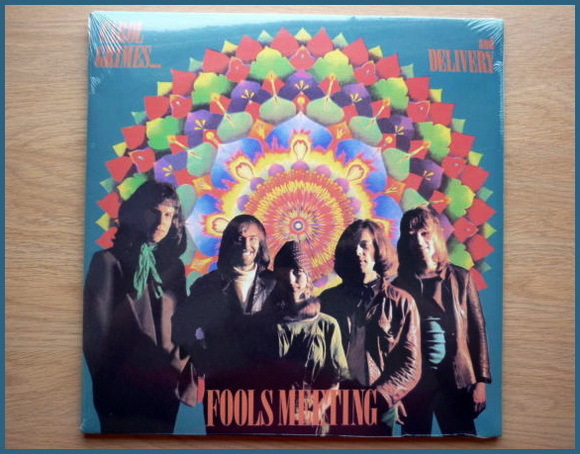 Beefheart re-christianed Harkleroad as Zoot Horn Rollo, and they embarked on recording one of the classic albums of all time, Trout Mask Replica; produced by Frank Zappa, the album remains an unparalleled work of musical inventiveness. Further LPs like Lick My Decals Off Baby, Spotlight Kid and Clear Spot highlighted what a truly innovative band they were, and what an outstanding original guitarist Bill Harkleroad had become! Since Captain Beefheart's retirement from the music industry, and subsequent passing, many outside commentators have tried to put their finger on what was so special about the Magic Band. Now, with the reprinting of 'Lunar Notes', we get the insiders story. With the help of co-author Billy James, Harkleroad divulges the often uncomfortable and difficult workings of the band, giving rare insight into the way the music was created. 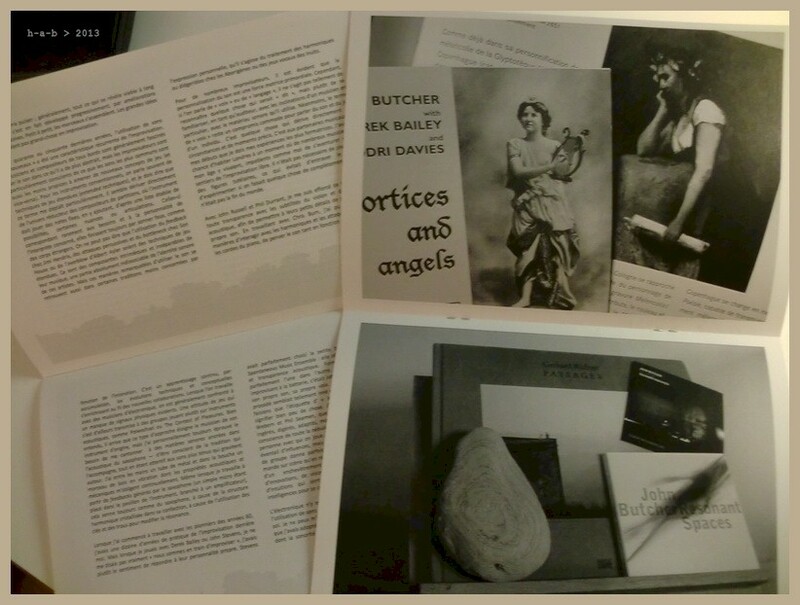 Dopo essere apparso in tedesco nel libro Aspekte der Freien Improvisation in der Musik - curato da Dieter A. Nanz nel 2011 per Wolke Verlag - il saggio di John Butcher Freedom and Sound - This Time It’s Personal è ora disponibile anche in francese, sul web e su carta, per opera di Le son du grisli. Il testo originale in inglese è nel numero 35 di Point of Departure. "At its core, improvisation, as I practice it, means applying musical methods and thinking that have their origins in actual performance. Some ideas may only be hinted at in a concert yet they plant a mental seed that is then developed back at home, in the routine of private experimentation. The results can be fed back later, forming an ever-evolving loop of experience-experiment-consolidation-experience. I’ve found that many practical ideas have first appeared comparatively spontaneously, through trying to forget that I’m playing a saxophone and instead thinking “what sound and contribution do I want to make at this point in the music.” All of this leads to the store of ideas and memories one draws upon, and anything that might prove workable in the longer term has usually accrued in small increments. Slowly, the pieces come together. Big ideas are of little value in improvisation." Del Cafe Oto a Londra hanno fatto quasi la loro casa: per cinque sere consecutive, dal stasera fino al 28 agosto, torna - ed è la quinta volta in pochi anni - l'inarrestabile Sun Ra Arkestra guidata da Marshall Allen. "A pleasure to welcome back one of the greatest big bands of all time - The Sun Ra Arkestra. 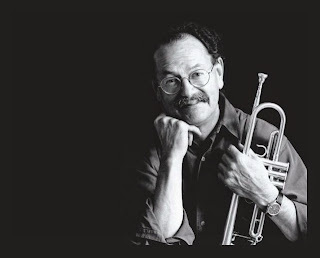 Operating under the direction of saxophonist Marshall Allen, the Arkestra have made Cafe OTO their home in London. This will be their fifth residency here - this time for an unprecedented five straight days. 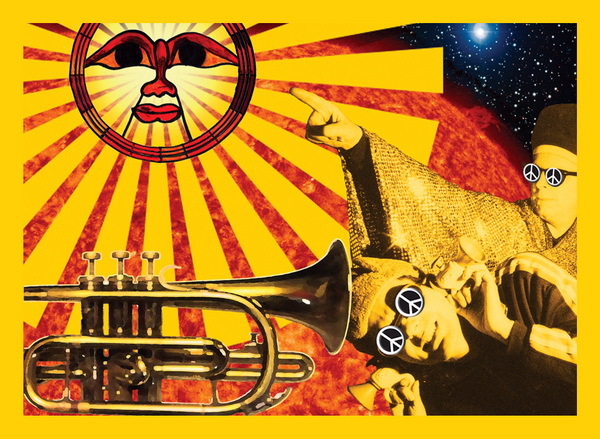 With such a massive, joyous songbook and the kind of well organised chaos that sees their legendary 3 hour sets move deftly between rolling grooves, sing-along chants and atonal blasts of mischievous brass this promises to be one of the highlights of the summer." 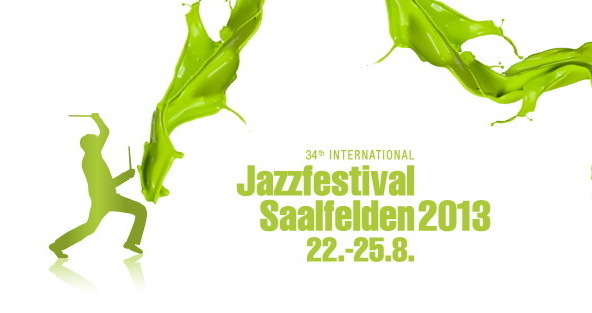 Inizia oggi e prosegue fino al 25 agosto il Jazzfestival di Saallfelden (Austria), quest'anno alla sua trentaquattresima edizione. 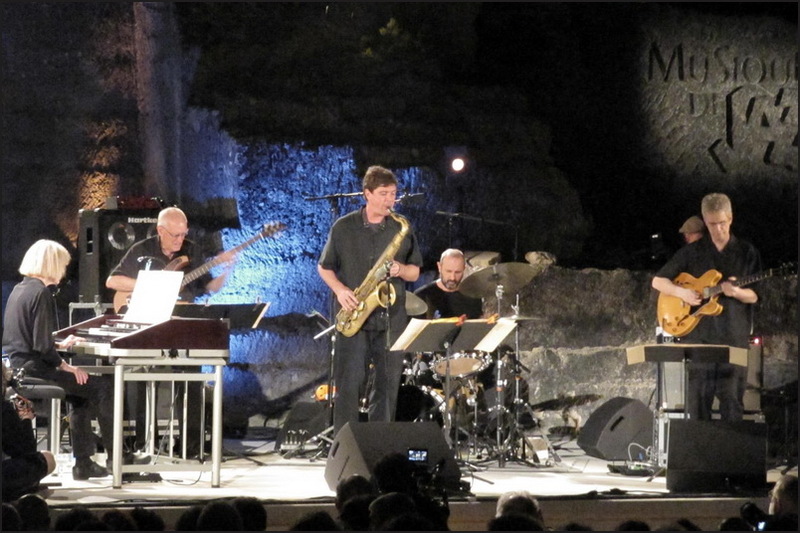 Tra gli ospiti Marc Ducret, Franz Hautzinger con Big Rain, Wadada Leo Smith Golden Quartet & Pacifica Red Coral con Ten Freedom Summers, Jon Madof, Uri Caine con un programma orchestrale su Gershwin e poi anche in duo con Han Bennink, Tony Malaby, Keiji Haino, Omaha Diner e John Medeski. Per tutti i gusti, o quasi. Monta l'attesa per la pubblicazione ad ottobre di uno tra i più importanti documenti non ufficiali della storia di Robert Wyatt - le sessioni solitarie americane del settembre-novembre 1968, qui radunate per intero con il titolo '68 - e qualcosa comincia a trapelare dagli spazi Soundcloud e Bandcamp della Cuneiform Records, assieme agli entusiasmi dei 'soliti' Leroy, Koomran e Smith: "In September, 1968, the Soft Machine had just finished their second, exhaustive tour of the USA supporting the Jimi Hendrix Experience. At the conclusion of the tour, vocalist/drummer/multi-instrumentalist Robert stayed, working on recordings in Hollywood and New York City. 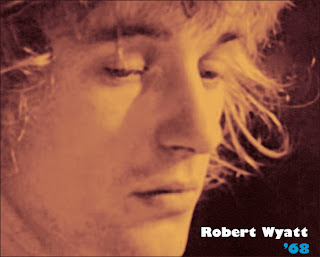 Upon Robert's return to England to re-start the Soft Machine in December, 1968, these documents lay forgotten. 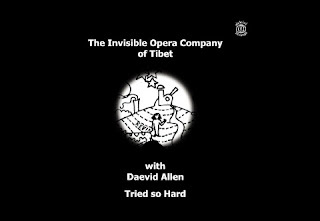 Two of them were eventually found and issued, but half of these recordings were unreleased and thought lost forever... Now, for the first time, all four of the recordings Robert made in '68 are collected together and released, all carefully worked on and presented in the best possible sound quality – and the recorded sound here is surprisingly excellent overall! This release is fully authorized by Robert and the liners include an in-depth interview with Robert about his recollections of this period, with insights into his songwriting process, recording procedures and previously untold anecdotes of this period of his work and life." 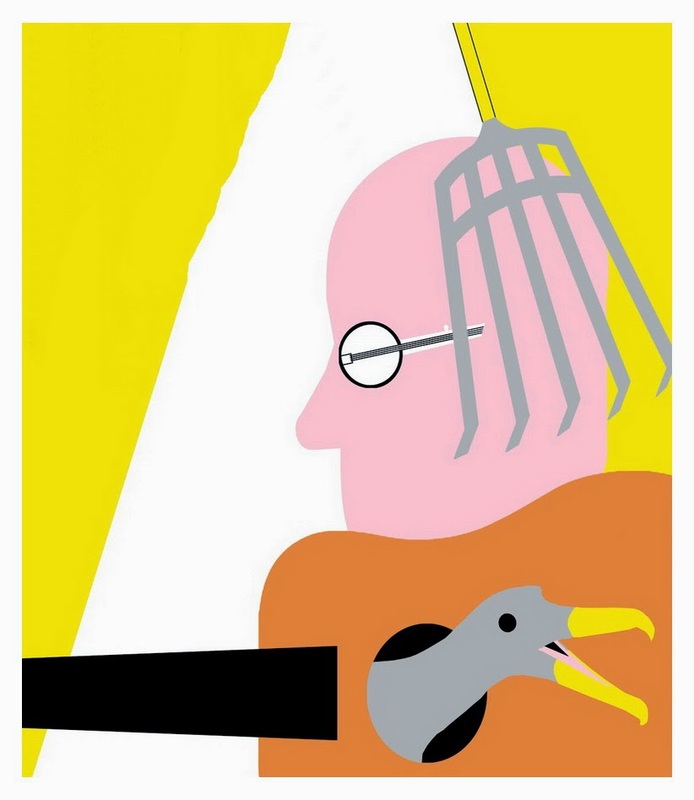 C'è ancora traccia del lavoro con Andy Partridge - già sfociato in Wing Beat Fantastic - nel nuovo album di Mike Keneally, You Must Be This Tall: è Indicator, un breve passaggio ilare e sereno, dove suona lo stesso Partridge, nel contesto di un album perlopiù strumentale, denso e fantasmagorico, che si colloca ai vertici della creatività del chitarrista americano: "It's pretty out there. But in a good way, I think - I'm really thrilled with this album. I think all of the composition, arranging, production and playing is strong and it all just comes off right, to my ears. There's a lot of guitar playing on it, a lot of crazy writing, and we focused hard on doing mixes which got the best out of the arrangements. A number of people who don't lie to me have said they think it might be my best album. I sure can't say, but I know I really enjoy hearing it." Un breve collage d'assaggio dal titolo You Must Be This Small è al sito web dell'autore, mentre un buffo video d'animazione accompagna uno dei brani dell'album, Popes. Salvati un paio di anni fa dal destino di cloni EL&P dall'incontro con l'amico Tatsuya Yoshida, i nipponici Zletovsko approdano al debutto discografico con un album al fulmicotone - con titolo omonimo, su etichetta Zelot - buono anche come catalogo prêt-à-porter di influenze avant-prog reclamate con orgoglio: "All of members are virtuoso on each instruments area. Their live performance is high-energy and massive like a Mahavishnu Orchestra. 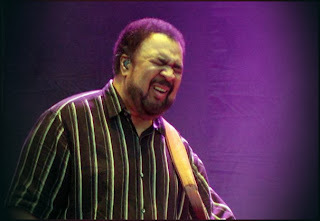 Zletovsko’s music style are influenced by classic progressive rock group, such as "This Heat", "U.K.", "Frank Zappa", "Camel", "Gentle Giant", and "Magma". 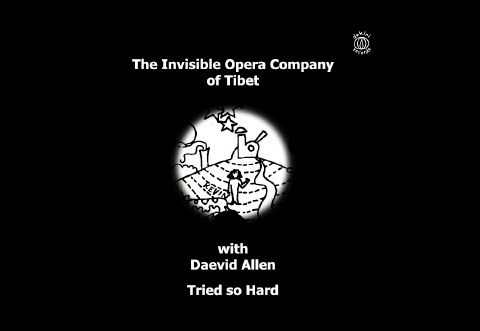 It also has an element of Zeuhl, sophisticated improvisations, and spirits of Rock. There are a lot of irregular time structures and Moog sounds, but also their music composed by Horikoshi and Kuwahara are catchy and unique. 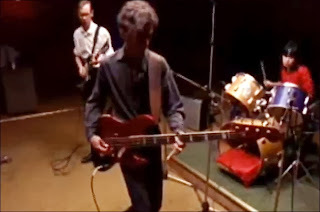 In addition, Kuwahara and Yoshida were rhythm section of Kouenjihyakkei's 1st album that was described as a masterpiece. They reunite first time in twenty years. Their sounds are thrilling Fushimi's guitar and Horikoshi's keyboard battle on super-heavy rhythm section. Long awaited, Zletovsko's first album is based on live recordings, with a lot of over dubbing and editing added, like Frank Zappa's recording style. As a result, there is a lot of groove, high-energy music but also sophisticated arrange. 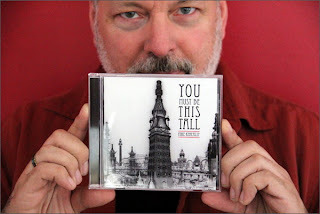 Progressive rock nuts would really like it!" Quasi un'Arkestra per due, euforica e ipervitaminica: Andy Diagram e Richard Harrison rispolverano la sigla Spaceheads per l'EP Sun Radar, nuova traccia discografica dopo un silenzio di quasi cinque anni. Copie in vinile e cd si ottengono da Electric Brass, oppure tramite Bandcamp. Volendo, è anche un riferimento a Robert Wyatt l'inclusione di Nairam in coda all'album Illusionary Sea con cui debutta il nuovo settetto guidato da Mary Halvorson. Con testo e interpretazione di Wyatt il bel tema di Philip Catherine (September Man, 1974) divenne sublime in Maryan (Shleep, 1997), e forse lì lo ha appreso la chitarrista, per darne ora una lettura comunque assai vicina all'originale. E sempre al Vortex londinese si tiene dal 18 al 20 agosto la festa annuale del collettivo Mopomoso guidato da John Russell e Chris Burn: Fete Quaqua, con una dozzina di musicisti - tra gli altri Lawrence Casserley, Luc Houtkamp, Audrey Lauro, Adam Linson e Ute Wassermann - variamente impegnati nel corso delle tre serate. Scrive il chitarrista: "Each night starts and finishes with a short piece played by all the musicians and the evenings are subdivided into smaller groups playing in between. 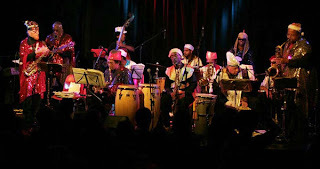 Each night has a different programme within a narrative structure designed to give full rein to the musicians, all of whom will play in at least two of these smaller groups. A special experience for everyone, whether new comers to free improvisation or committed followers of the music." John Russell’s annual Fete Quaqua brings together twelve musicians over three days with the stated aim ‘to extend existing collaborations / relationships in juxtaposition with new ones and thus provide a fertile ground for free improvisation’. There are many connections running through the fine group of musicians taking part in this year’s event but they have never before appeared together on the same stage. Russell says, “I look for musicians who have an individual approach to playing and a generosity of spirit. It’s never about showing off tricks but a willingness to uncover what the music has to say on the night”. 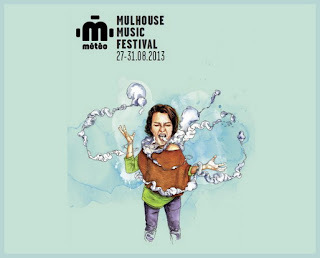 A celebration of creativity and sonic delights! Prende il via oggi al Vortex londinese l'annunciato programma dedicato a Keith Tippett, tre speciali serate di jazz, poesia, danza, improvvisazione, composizioni per vari ensemble e la prima esecuzione di un lavoro di recente commissione, The Nine Dances of Patrick O'Gonogon: "Keith Tippett is one of the most important European jazz musicians / improvisers / composers / arrangers of the last 40 years and we’re delighted to present three very special and very different evenings showcasing his new work. This residency covers an unusual body of work from one artist. 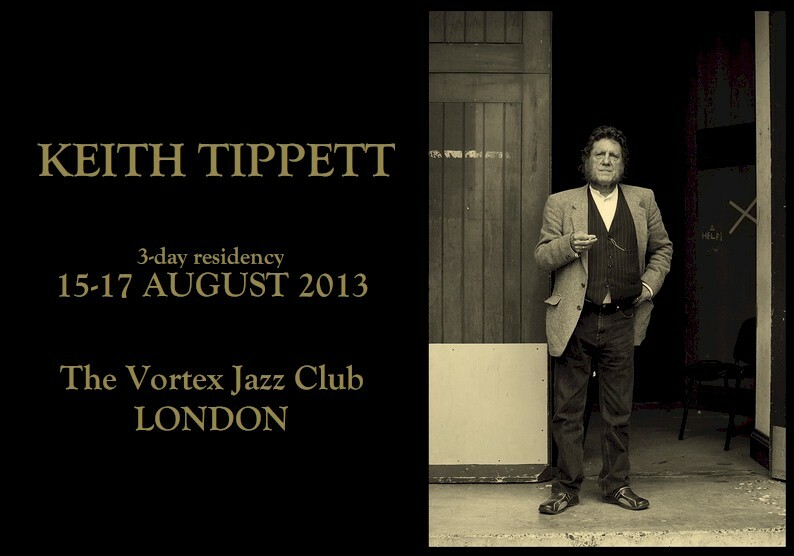 Tippett has been involved with three distinct areas of music for four decades, working with contemporary musicians, avant-garde jazz musicians and improvising musicians. 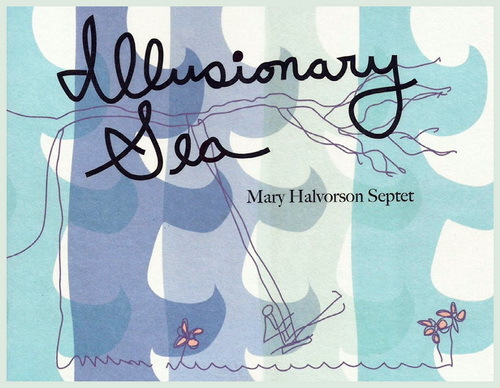 These three nights are an example of his breadth of vision and artistic vitality." 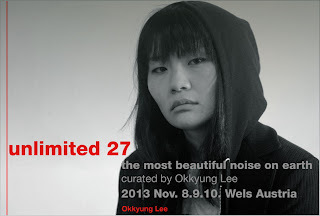 Cellist Okkyung Lee is one of the most dynamic forces in improvised music today, a fearless and compelling musician whose playing incorporates a love of noise, extraordinary technique and elements from the outer fringes of contemporary composition. Originally from South Korea but now based in New York and Berlin, Lee has collaborated with many of the leading figures in creative music today, including Christian Marclay, Thurston Moore, Wadada Leo Smith, Ikue Mori, Evan Parker, C. Spencer Yeh, Carlos Giffoni and Maja Rajtke. This year she released Ghil, an LP of coruscating solo improvisations recorded direct to dictaphone by Lasse Marhaug that has been widely hailed as the 'noise record of the year' and she is also curating the 2013 edition of the Music Unlimited festival in Wels. Grazie a un semplice stratagemma narrativo torna attuale la lunga e intricata vicenda discografica, e non solo, dei Residents: basterà prendere i diari di Nonno Gio - ex professore di liceo ora ottantenne, un vero intenditore - e trascriverli in ordine cronologico al blog Grampa Gio and The Residents, e per ogni mese da qui al dicembre 2016 parrà di rivivere in tempo reale un intero anno di storia del gruppo! L'idea è dell'entusiasta nipote: "My grandfather Gio was a high school English teacher for most of his life, and kept journals throughout, mostly as an exercise to keep up his craft, his topic of choice being music. He’s kept all of those journals, and on his 80th birthday he revealed to me he has written about The Residents (my favorite band) ever since they started. He showed me one of his notebooks, and what struck me most was that he was asking the most important question about them: what does it all mean? I came to realize that The Residents is a far-reaching art project, spanning decades, and the best way to understand their story is to experience it in the order they themselves told it. 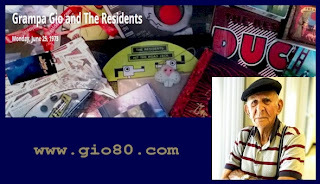 So this blog is going to post every piece Grampa Gio wrote about The Residents, in the original order. I’ll be sifting through his journals, finding the relevant entries, typing them up, and giving them titles I think are clever. They will be published on a schedule that is congruent to the historical timeline, with one month on the blog roughly equal to one year in history. The reader can experience what is was like to live through the release schedule, though at an accelerated pace. The blog’s first entry (about December 1972) is published in late July of 2013. The blog reaches 1980 in February 2014, 1990 in November 2014, and so on. It meets the present in December 2016". Una storia concisa e parziale di Louis Philippe attraverso la discografia dagli esordi con Border Boys e Arcadians fin solo alle pubblicazioni della él dei primi anni novanta: la traccia François Gorin in tre episodi in Les disques rayés, per la francese Télérama. In attesa di successivi capitoli? 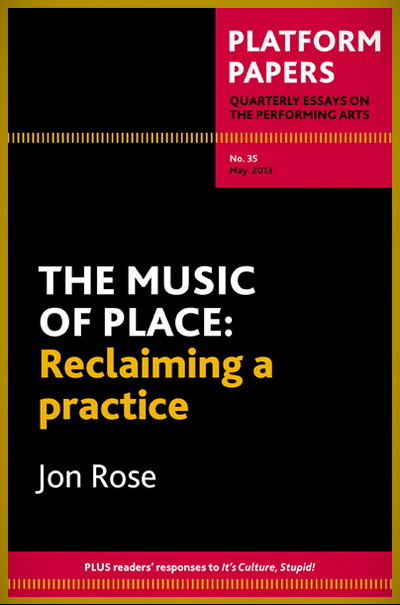 Uno scritto vivace e polemico di Jon Rose pone interrogativi e questioni sulla professione del musicista nella società d'oggi, sulle convenzioni e le regole dell'accesso alle musiche e sulla funzione sociale delle pratiche musicali negli spazi pubblici: The Music of Place - Reclaiming a Practice, pubblicato anche come e-book dall'australiana Currency House. ‘How do you maintain live music in a culture that does not value it?’ asks Jon Rose, acclaimed improvising violinist and instrument maker. 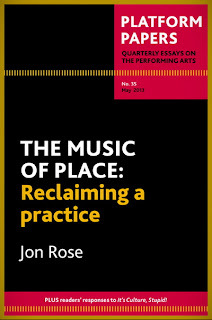 ‘The practice of music has lost its key functions and roles in society’, he writes. ‘The proof of this lies in the steep decline of monetary worth for both practitioner and the art form itself. Music's social worth is also questionable as it is steadily removed from the education curriculum. This is not a uniquely Australian phenomenon, nor is it confined to music practised on the fringes of society; it is a problem common to all music forms.’ Rose rejects blaming popular music and digital downloads, delves deeper and proposes a way to change the culture. Que ce soit en tant que musicien, compositeur ou producteur, Steve Swallow a su imprimer sa marque sur l'univers jazz de ces quarante dernières années. Il est aujourd'hui entouré d'une nouvelle formation composée de Chris Cheek (saxophoniste, 60 albums à son actif), Steve Cardenas (guitariste, ex-collaborateur de John Patitucci et Charlie Haden) et Jorge Rossy (batteur, camarade de Joshua Redman et Brad Mehldau). Pour ne rien gâcher, la grande Carla Bley s'est jointe à l'aventure (comme si ce quatuor ne contenait pas assez de talents). 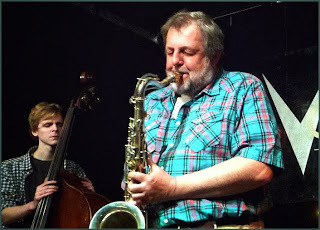 Festeggiamenti al Vortex londinese per il sessantesimo compleanno di Paul Dunmall: prima in quintetto con Simon Picard, Neil Metcalfe, Nick Jurd e Jim Bashford, e poi in sestetto con Howard Cottle, Gary Curson, Jim Dvorak, Paul Rogers e Tony Bianco per l'irrinunciabile Ascension coltraniana. Altro lutto in questi giorni è quello per la scomparsa dello statunitense Tim Wright, musicista di Cleveland tra i fondatori a metà anni settanta del gruppo Pere Ubu - con loro incise il pugno di brani raccolti nell'ep Datapanik In The Year Zero (1978) - e successivamente membro dei newyorkesi DNA a fianco di Arto Lindsay e Ikue Mori. Ne dà notizia David Thomas alla sua pagina su Facebook. Se n'è andato all'età di sessantasette anni George Duke, pianista compositore e produttore assai noto nell'ambito della musica fusion e funky americana, con una vasta produzione a proprio nome e collaborazioni di prestigio tanto nel jazz quanto nel pop. Indimenticabile la stagione a fianco di Frank Zappa per buona metà degli anni settanta, grosso modo da Chunga's Revenge e 200 Motels a Bongo Fury e One Size Fits All. Ricordi, commenti e pagine di commiato sono in Zappateers e Zappa.com. Mike Keneally dona ai propri affezionati due collezioni di brani inediti registrati dal vivo in varie occasioni e con diverse formazioni, confidando che ne venga favorita la diffusione libera e integrale attraverso blog, siti peer-to-peer e social network: "Free EP Volume 1 is a sampling of live performances I’ve done with different groups over the years: two of the songs are from a DVD that comes with the special edition of my 2004 album Dog (one recorded in a living room, the other onstage), and the other three are from European live radio recordings. If you’re new to my music, I hope this selection encourages you to further check out the stuff I do – in fact, another free EP awaits you: Free EP Volume 2 is drawn from live recordings of two wildly different versions of my old band Beer For Dolphins (tracks 1, 2, 4 and 5), plus one solo song from a live broadcast recorded for Dutch radio (track 3)." 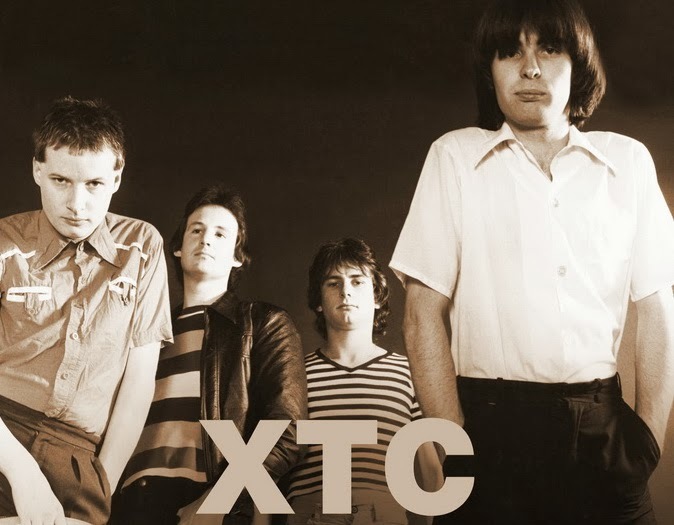 Anche il catalogo XTC si dispone al 'trattamento Wilson', a partire da una delle sue pagine più gloriose: Nonsuch. 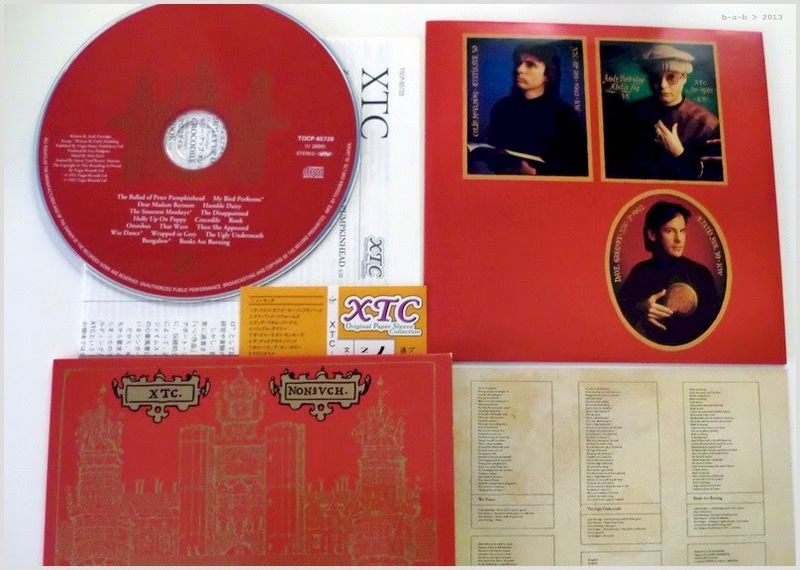 "Nonsuch is the first in a series of expanded XTC album editions including 5.1 Surround mixes, new stereo mixes and High-Resolution stereo mixes of the original material along with a wealth of extra audio and visual material. Steven Wilson has produced the new mixes with the input of founder band member Andy Partridge and the full approval of the band. Presented in special packaging with an expanded booklet and sleeve-notes by Andy Partridge, Colin Moulding and Dave Gregory". Come arrivarono i King Crimson a Red, loro ultimo album di studio negli anni settanta e conclusivo di una intera epoca? 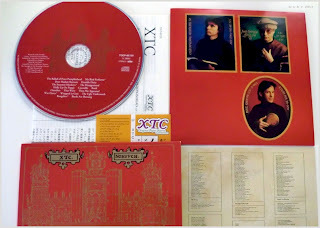 Ricostruisce quel particolare percorso The Road To Red, voluminosa raccolta di documenti in gran parte inediti tratti dal tour nordamericano compiuto dal quartetto - Fripp, Cross, Wetton e Bruford - dall'aprile al luglio 1974. 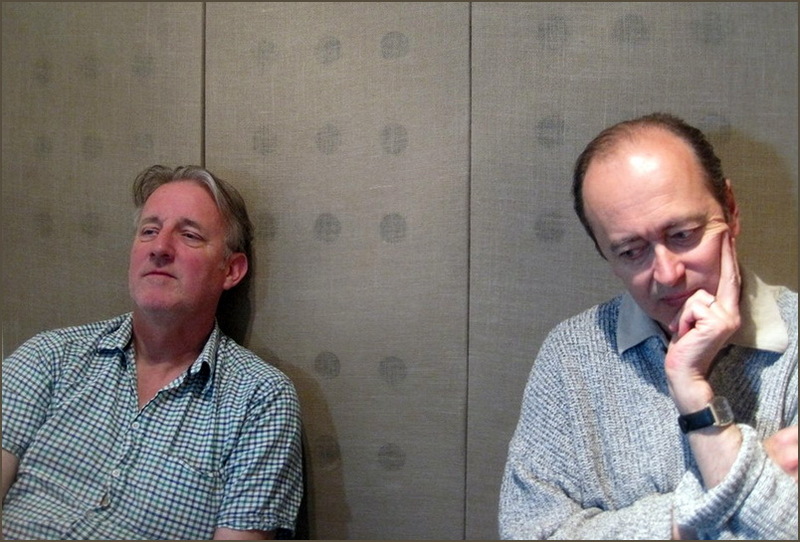 C'è anche un nuovo missaggio stereo dell'album di studio - registrato a Londra pochi giorni dopo la dipartita di Cross - sfuggito alle celebrazioni del quarantennale nel 2009 e ultimato poche settimane fa da Robert Fripp e Steven Wilson. 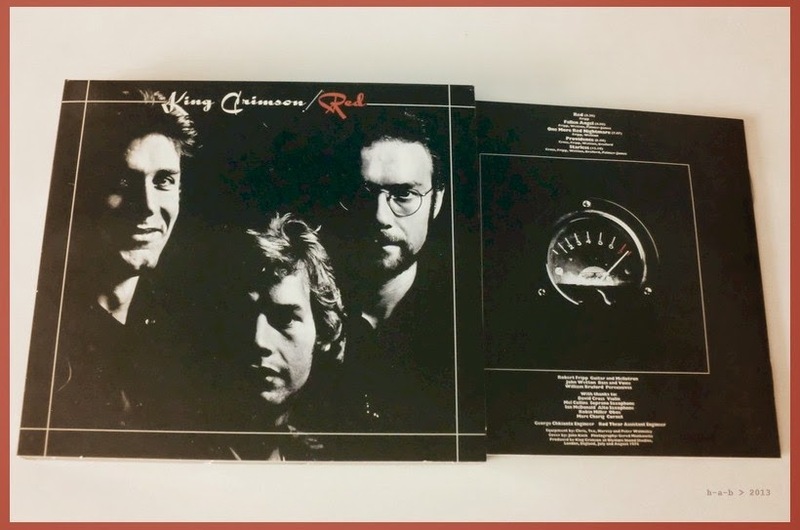 Between April and July 1974 King Crimson embarked on a tour of Canada and America which has come to be recognised as one of the most powerful series of concerts performed not just by Fripp, Cross, Wetton and Bruford but by any band of the era. The band chose to perform a selection of recent material from the then newly released Starless And Bible Black, older fan favourites, newly written/then unrecorded material and nightly improvisations at a level described by many eye-witnesses and observers as the most intense gigs they'd ever attended. A single live LP USA was issued in 1975, a year after the band split, but failed to convey the full extent of how ferocious a beast King Crimson was in full-flight. By the time King Crimson entered the studio in July 74, the band had spent the best part of two years on the road, recorded two albums along the way, and shed two band members en route: percussionist Jamie Muir having quit early 1973, and violin/mellotron player David Cross at the end of the US tour just a week prior to the recording of Red. Crimson had built a reputation as one of the tightest, most powerful bands on the rock circuit. Recording as a trio in Olympic studios in London, with one improvised piece drawn from that final US tour and with contributions from former members and friends on saxophones, violin, and oboe, the group produced the last Crimson studio album of the 70s and one of the decade’s masterpieces: Red. 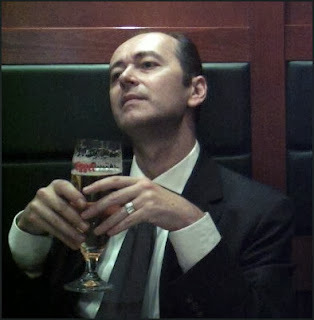 Nuovo aspetto e nuovo indirizzo per il sito web dedicato a Ian Carr, curato da Roger Farbey fin dal 2002: http://iancarrsnucleus.webs.com. Tra le notizie più recenti, quella dell'imminente pubblicazione in vinile di un inedito del Michael Garrick Sextet, Prelude to Heart is a Lotus (Gearbox Records). Quasi pronto per la pubblicazione il quarto volume di scritti di Eugene Chadbourne, Dreamory: un tantino arduo il lavoro di selezione, con più di 1100 pagine!